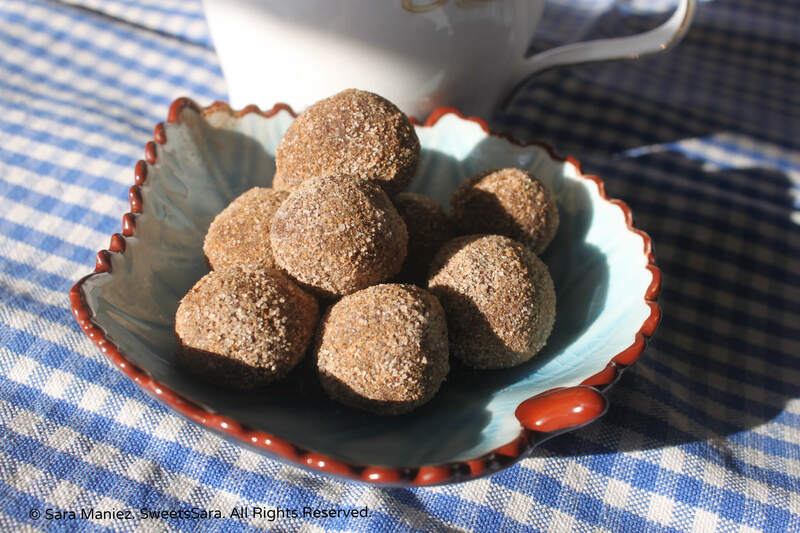 These are fun to eat as you make them and they go perfectly with a cup of coffee or even tea. Since they are made from a ganache frosting versus a traditional truffle ratio, they are soft and melt in your mouth. The cinnamon gives the mocha a warmth and depth of flavor making them more interesting than just mocha alone. I could see these boxed prettily with some ribbon making a thoughtful, elegant and handmade gift. They could be made a day ahead for a gathering of friends and be that extra-special something on the table. 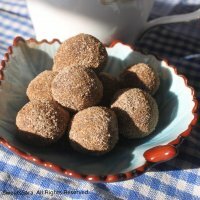 Mocha Cinnamon Truffles are a simple, easy to make candy recipe with only 6 ingredients! In a small saucepan, dissolve the espresso powder into the whipping cream. Add a few drops of vanilla extract. Bring whipping cream just to boiling over medium-high heat. Remove from heat. Add the 12 ounces of semi-sweet chocolate morsels evenly covered by the whipping cream but DO NOT STIR. Let stand 5 minutes. Gently stir until smooth. Put in the refrigerator to set for a half hour. In a small bowl, mix 1 teaspoon cinnamon and 2 tablespoons sugar. Take out of the refrigerator. Using a rounded measure (I used 1/2 teaspoon size but you can make them any size you wish) scoop the mixture and roll with your hands into a ball, then roll in cinnamon-sugar mixture. Be careful not to handle the chocolate too much, as it will melt from the heat of your skin. You can dust your hands with confectioner's sugar to make it less sticky if need be. Why buy expensive truffles when you can make them in the convenience of your own home in abundance? 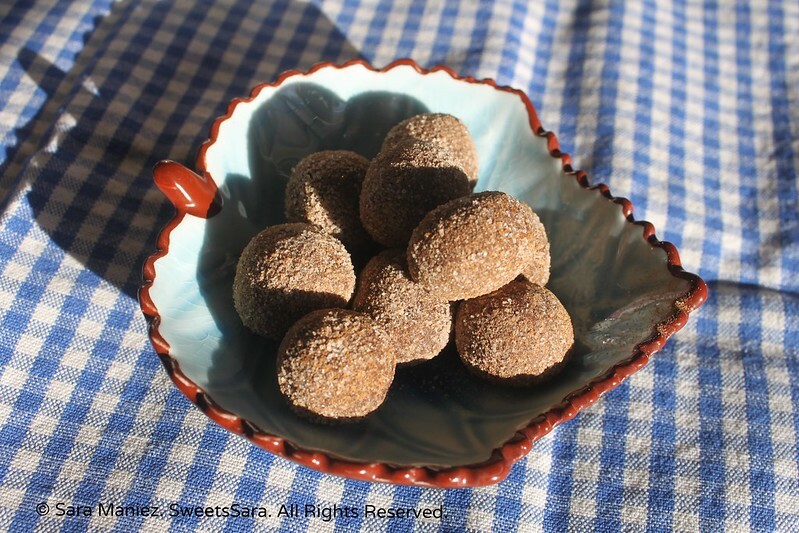 •This recipe can be made gluten-free with gluten-free chocolate morsels. 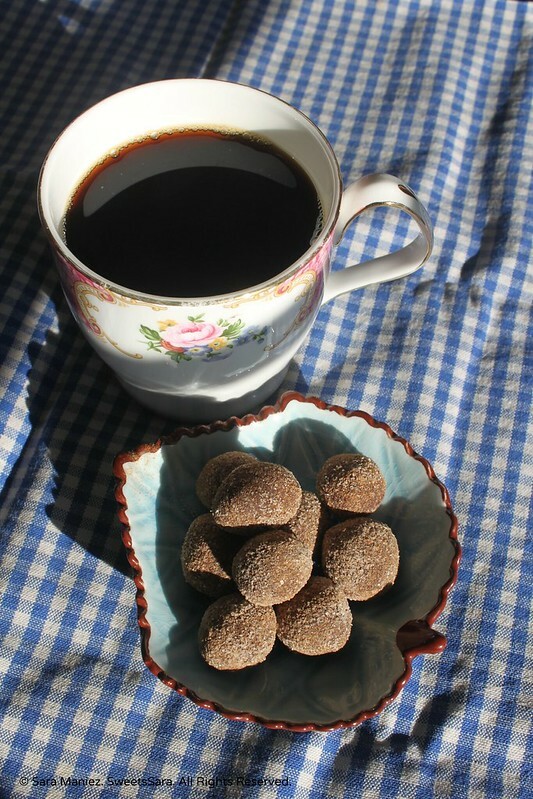 •The espresso powder or instant coffee can be omitted to make them chocolate only truffles. •Cinnamon can be omitted and you can use cocoa powder, confectioner’s sugar for coating, or any other candy coating. •Experiment with a different kind of chocolate, for example, dark chocolate would go nicely and has the benefit of healthy antioxidants. •There are endless ways to modify this recipe, I encourage you to get creative and have some fun! 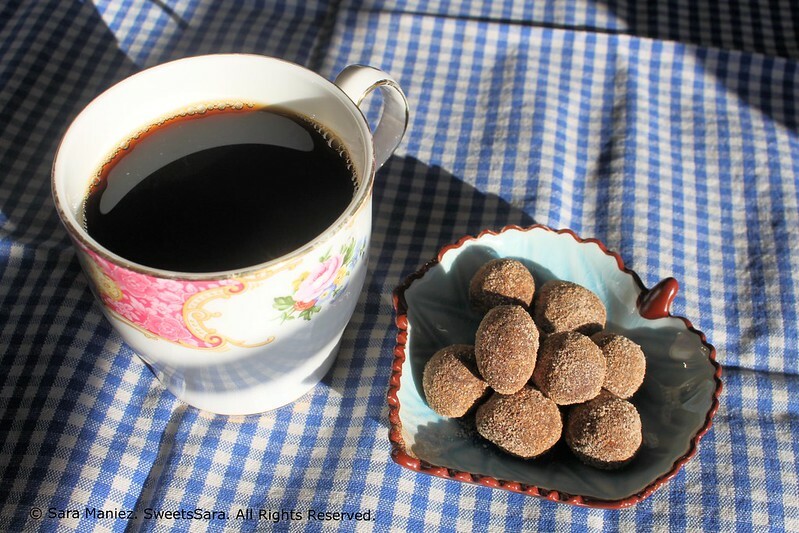 The morning sun illuminates these Mocha Cinnamon Truffles before they are eaten.